By using the Website and the Booking Engine, You are agreeing to the following terms and conditions of use without modification or revision. 1.1.2 The terms and conditions on which Guests will a) make their booking and b) stay at or visit the Vendor and/or participate in the tour (as applicable) shall be governed by this User Agreement. 1.2 We may amend, revise or update the terms and conditions of this User Agreement at any time and without prior notice to You and the most up to date version of this User Agreement from time to time will appear on the Website. Therefore, You should carefully review the terms and conditions of this User Agreement each time You use our Website or Booking Engine. If the terms and conditions of this User Agreement are not acceptable to You, You should not use our Website or Booking Engine. As user of this travel web site and any service or facility such as the booking engine, you agree and consent that the Agent may use, including to share with third parties related to your booking (like car - rental agency, travel agency and hotels etc), your contact information (i.e. your name, e-mail and physical / postal address and / or other contact details) for all purposes directly connected with your reservation request. Guests must adhere to the Vendor's standards concerning use of internet, smoking, noise, and disturbance. As a general rule, unnecessary noise and disturbance is not permitted on Vendor premises between 11pm and 8am, or as otherwise specified in the Vendor's rules and requirements. If in doubt ask a member of staff. In addition to assisting Guests with information, they will also enforce any rules or standards that Guests are breaching or are in danger of breaching. If Vendor rules are broken or the behaviour of Guests is deemed sufficiently unruly, the Vendor retains the right to remove Guests from the premises (in which case no refund will be made) and/or demand a surcharge on the price of Your rooms, which may be charged to Your card by Us. Except where stated otherwise on the Vendor page on the website, no animals are allowed on Vendor premises. 1.Subject to the terms and conditions set forth in this User Agreement, we hereby grant to You a non-exclusive, limited, non-transferable and revocable licence to view, print and download content from our Website and Booking Engine solely for Your personal and non-commercial use, and solely for purposes of enabling You to make bookings offered through our Website or Booking Engine. 2. You agree not to republish, distribute, assign, modify, transmit, display, reproduce, licence, create derivative works from, transfer or sell any content or other materials obtained or obtainable on or through our Website or Booking Engine. 1. As a condition of Your use of our Website and/or Booking Engine, You agree that You will not use our Website or Booking Engine for any purpose that is unlawful or prohibited by, or inconsistent with, this User Agreement. 2. You represent and warrant that You are at least 18 years old and posses the legal authority to enter into this User Agreement and to use our Website and Booking Engine in accordance with the terms and conditions of this User Agreement. 3. You may only use our Website and the Booking Engine to make legitimate reservations or purchases and not for any other purposes, including without limitation, to make any speculative, false or fraudulent reservations or any reservation in anticipation of demand. 4.You may not share any Website password(s) issued to You by Us with any other person or persons, and responsibility for the security of any such password(s) rests with You. 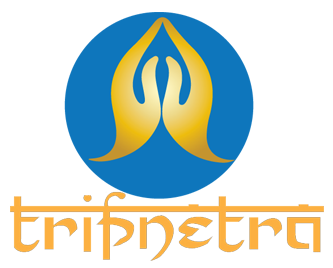 TripNetra is a travel provider and does not employ staff in resort. Should you encounter a problem whilst abroad, you should always contact your contracted supplier in the first instance. If you are unable to resolve the matter whilst in resort, please write to our Customer Services Dept. within 7 days of your return. Whilst we will endeavour to answer all queries as soon as possible, you are advised that problems relating to Tour Packages, accommodation, etc. will have to be forwarded to the relevant supplier with whom you are contracted. All information given by TripNetra in respect of your holiday booking is as provided by the supplier. Whilst we make every effort to ensure that this information is current, we cannot be held responsible for any information given in good faith that is subsequently found to be incorrect. TripNetra reserves the right to cancel or change the booking at any point. This agreement and any disputes relating thereto shall be construed under the laws of India to be settled at a court of jurisdiction in Tirupati. All claims, legal proceedings or litigation arising in connection with the Service will be brought to the court of jurisdiction in Tirupati. Children above 5 years will be considered as the Adult while booking. Age restriction depends on the service providers.